China Focus | Why Schellenberg Received His Death Sentence? In November 2014, Canadian citizen Robert Lloyd Schellenberg was arrested in Dalian, Liaoning Province. He was accused of being involved in a plan to smuggle more than 222 kilograms of heroin from China to Australia. 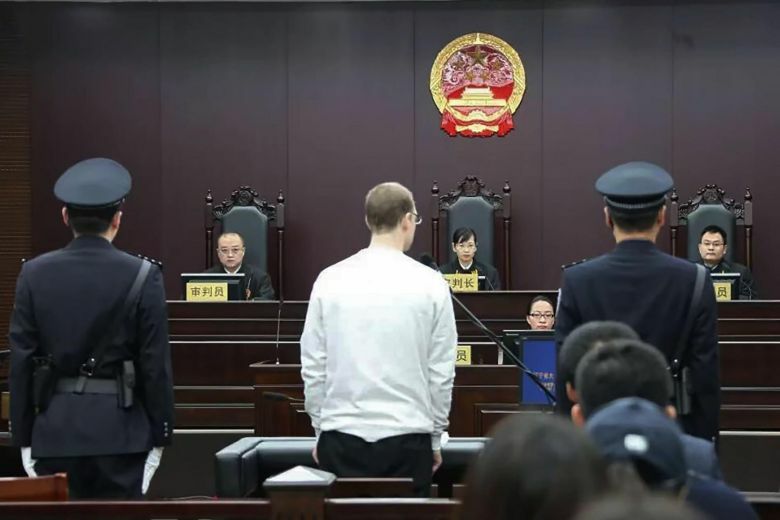 Robert Lloyd Schellenberg, a Canadian drug smuggler, was sentenced to death on January 14 at the Dalian Intermediate People’s Court in China’s Liaoning Province. All his personal property shall be confiscated, according to the court. On January 16, China’s Foreign Ministry spokesperson Hua Chunying responded to a Canadian official’s accusations about the death sentence for the Canadian drug smuggler: The case must be handled in accordance with Chinese law since it happened in China. Controversies have arisen internationally about this case. Why has it raised so much attention? Let us first review the case. In Chinese criminal law, section 347 stipulates, “Whoever smuggles, traffics in, transports or manufactures narcotic drugs and falls under any of the following categories, shall be sentenced to fixed-term imprisonment of 15 years, life imprisonment or death, and also confiscation of property.” Among the aggravating factors, two are especially relevant in Schellenberg’s case: Clause 347(1) emphasizes: persons who smuggle, traffic in, transport or manufacture opium of not less than 1,000 grams, or heroin or methylaniline of not less than 50 grams, or other narcotic drugs of large quantities; and Clause 347(5) specifies persons involved in organized international drug trafficking. With all the evidence established, the amount of heroin Schellenberg attempted to smuggle exceeds by more than 4,000 times the amount that would trigger a capital sentence in China’s legal system. This capital punishment would also not be without precedence – in 2009, British citizen Akmal Shaikh was sentenced to death after being indicted over smuggling 4 kilograms of heroin. The controversy that prevailed at the time was over whether he should have been granted a psychiatric evaluation to confirm his sanity, or the lack thereof. Over four years after Schellenberg’s arrest, the Dalian Intermediate People’s Court handed down the same punishment for Schellenberg, after having sentenced him in 2016 to 15 years in prison, a decision followed by cross-appeals filed by both Schellenberg and the prosecutors. At the retrial, Schellenberg was charged as a principal rather than just an accessory, based on new evidence submitted by prosecutors. In Schellenerg’s own words, he is neither a drug user nor a drug smuggler; claiming the links only existed between his translator and an international drug-smuggling ring. 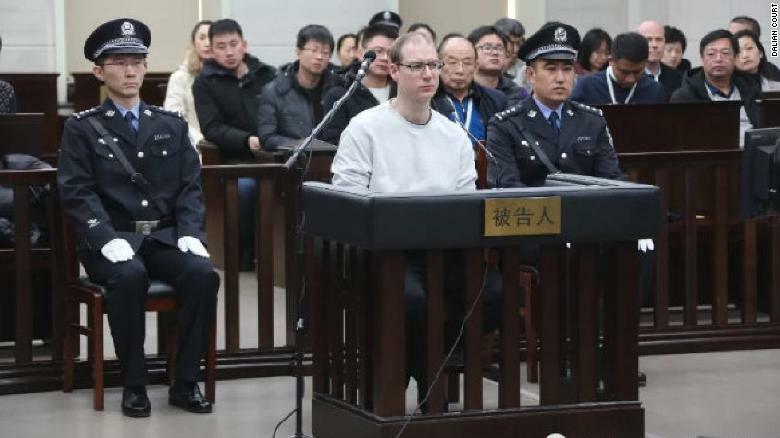 Nevertheless, before setting foot in China, Schellenberg had been convicted 11 times for drug and impaired-driving offenses, since turning 20 years old in 2002. He was sentenced to one year in 2010, and 16 months in 2012. 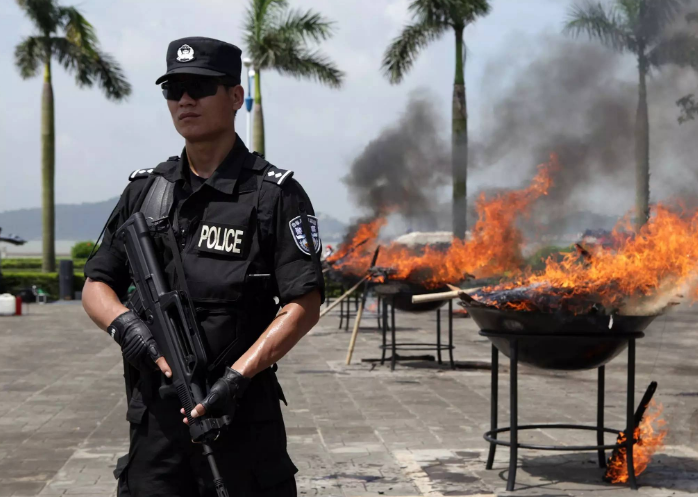 China has a reputation for being extremely harsh on offenders in drug-related crimes. The drug war since 2016 in the Philippines has recorded an official death toll of over 5,000 people. Drug-related murder is a capital offense in the U.S., and President Donald Trump in March 2018 called for “toughness [including] the death penalty” for drug dealers. Controversies have arisen internationally. Lawyers, scholars, and reporters are repeatedly asking two questions. First, is it legal for an intermediate court to raise the sentence from 15 years to capital punishment? Second, are there any other factors that influenced the ruling? China recognizes the principle against reformation in peius (Latin for, “change for the worse”), which means the appellant should not be put in a worse position than if they had not appealed. However, this principle simply does not apply in this instance. In this case, both Schellenberg and the prosecutors appealed the 15-year sentence of the first trial. The intermediate court admitted the evidence presented by prosecutors that changed Schellenberg’s role from that of an accessory to a key player. The evidence, in the court’s opinion, shows Schellenberg’s involvement in an international drug trafficking scheme. Kim (last name unknown), Steven (last name unknown), and Chow (first name unknown), all currently on the run, controlled bank accounts in China, and hired Xu, who Schellenberg calls his translator, to receive a consignment of heroin transported from Guangdong Province to Dalian, Liaoning. Xu took the drugs from Chow and another accused, Jianxiang Rong. After purchasing inner tubes, tires, and containers for storing and transporting the drug, Xu received instructions that a foreign citizen would take over from there. This foreign citizen – Schellenberg – examined the plan and made the decision to postpone the shipment from November to December. He phoned another accused, Qingxiang Mai, and asked for assistance in storing the drugs for another month. Xu informed the police on November 29th. Schellenberg left his hotel for the airport at dawn on December 1st, threw away his SIM card, and was arrested during his layover in Guangzhou before he could reach his destination of Thailand. Among the four participants under arrest: Xu exposed the scheme and served as a tainted witness; Jianxiang Rong was sentenced to life imprisonment for transporting the drugs; Qingxiang Mai was sentenced to death with a two-year reprieve for transporting the drugs, and the last was Schellenberg. As of today, Schellenberg has appealed his sentence, and everyone is still waiting to see what the final result will be for a man who has spent his best years under criminal charges, who, even a Canadian judge noted, had already failed his own country. The retrial took place at an interesting point in time, amidst China-Canada diplomatic tensions, and reporters see the open trial as a clear message to the western world. Nevertheless, at the end of the day, with the court applying the law to the facts, one should probably not so much question why Schellenberg received his death sentence, at least not before first answering why Schellenberg would ever have expected otherwise.